The European Southern Observatory (ESO) reported the first confirmed image of a planet in the process of forming in the debris disk surrounding the young star PDS 70. The photographs were taken with the SPHERE instrument, which is mounted on the Very Large Telescope (VLT) in Chile. The results of the observations suggest that the young planet has an atmosphere rich in clouds. SPHERE is one of the most powerful instruments developed for the search of exo-planets. Its capabilities allowed it to discover a young planet, PDS 70b, which is paving its way in a planetary material (mainly gas and dust) surrounding a young star, PDS 70. The research was conducted under the leadership of the Max Planck Institute for Astronomy, based in Heidelberg, Germany. SPHERE also measured the brightness of the planet at different wavelengths, which allowed to deduce the properties of its atmosphere. 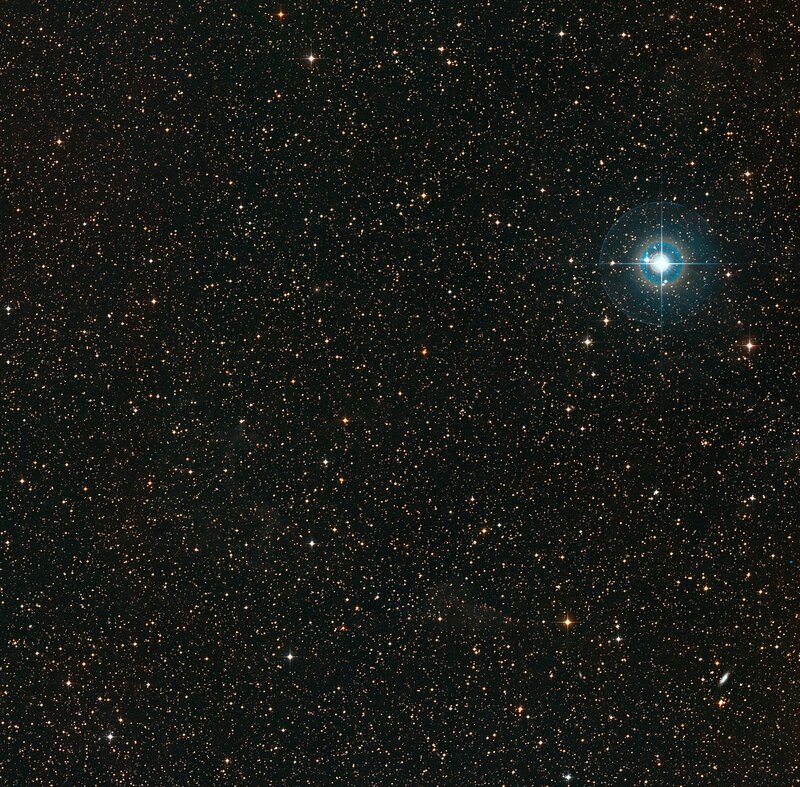 In the photographs the planet is visible as a very bright point on the right from the obscured center of the photo. The PDS 70b orbits its star at a distance of about 3 billion kilometres, which is comparable to the distance between Uranus and the Sun. Analyses have shown that PDS 70b is a large gas planet with a mass several times greater than that of Jupiter. The surface of the planet has a temperature of around 1000°C, which is much higher than that of any other planet in our Solar System. The dark area in the center of the picture is the result of the coronagraph's action, a screen that blocks the blinding light of a star in the center, so that astronomers can detect a protoplanetary disk and planet that are not as bright as a star. The disks around the young stars are the birthplace of the planets, but few observations have been made so far to provide new insights into the young planets. All this is due to the fact that until now, most of the candidates for the planets have only been seen in certain structures in protoplanetary disks, according to Miriam Keppler, who led the team behind the discovery of the planet PDS 70b. The discovery of the young planet provoked further research. The second team of researchers has made further observations over the past few months in order to better characterize the planet. It was possible not only to get a spectacular, clear picture of the planet, but also its spectrum. Spectrum analyses have shown that the planet's atmosphere is cloudy. 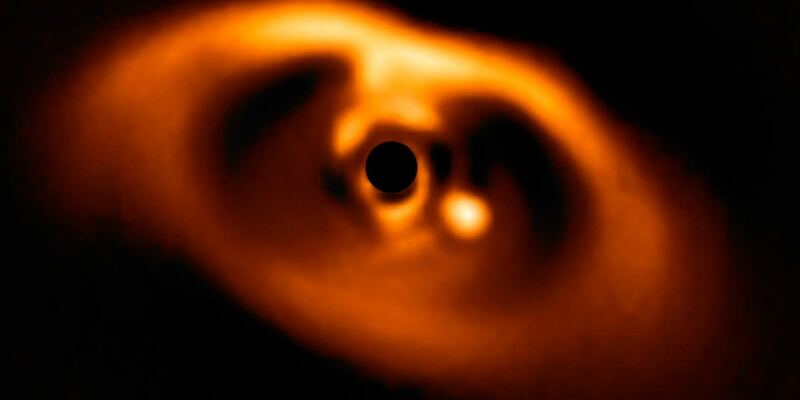 In addition, the PDS 70b has carved a so-called transition disk – a protoplanetary disk with a huge hole in the center. Such internal gaps have been known for decades and it has been speculated that they can be created by disk-planet interactions. The results of the observations offer researchers a new insight into the complex but poorly understood stages of planetary evolution. By determining the atmospheric and physical properties of planets, astronomers are able to verify theoretical models of planetary formation.